KNOXVILLE, TN — We are a country of high technology with two generations that have cut their teeth on the newest innovations. Babies as young as 3 years old can ace many phones, tablets, and newly developed gadgets with ease. However, all across the nation, these generations are lacking life skills and leadership qualities needed to exist in every day life outside of the virtual world in which they exist. Many do not have leadership, team working ability, or social skills. Many are not physically fit, cannot cook for themselves or even have the knowledge to address the front of an envelope or mail a package. As they enter adulthood, this has made it difficult for them to find jobs or join the military as the lack of life skills such as being fit, has been a disqualifer for entrance to service to the country. 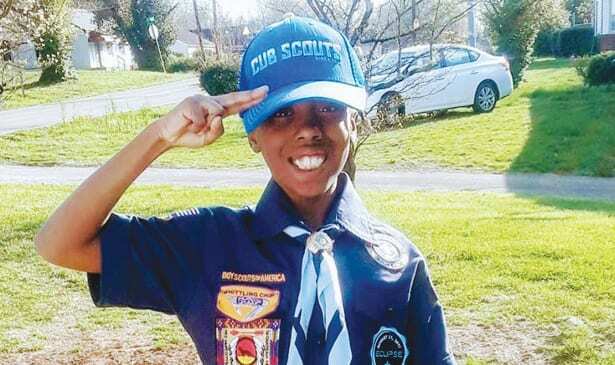 As the country becomes more gender aware, one organization has been teaching life skills for over one hundred years and recently has moved it’s organization; the Boy Scouts of America to the next level by including girls among it’s ranks. The new organization set up will have single gender troops and scouts of both genders ages 11 to 17 can work up to Eagle Scout rank. All boys and girls will be referred to as scout. As the organization prepares to make history with this change, so do the girls who choose to be be first. Meet Ja’shonna Bryant. Not only one of the first girls, she is one of the first African American girls in East Tennessee to join this ranking. A confident, intelligent nine year old who already travels with G FORCE in cheerleading competitions; she loves fishing, clothing design, being outdoors, working with her hands, and archery. She is part of a scouting legacy as Ja-shonna is the third generation of Bryant’s who have given a life of service thru scouting. 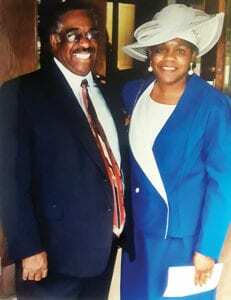 Ja’shonna’s grandfather and legacy building grandmother, Carolyn Bryant. Her grandmother, Carolyn Bryant was very involved in her son’s scouting years and received the Whitney Young award post humously for her work with the scouts. Ja’shonna’s father, Chris is an Eagle Scout and has been a troop leader for many years. 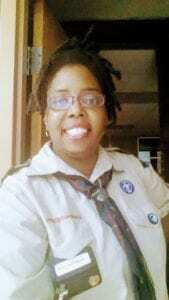 La-Tasha Smith-Bryant, her mother, is also a troop leader and may well make history herself as the first troop leader of the new single gender troop should the opportunity arise. learn values, ethics, and morals. 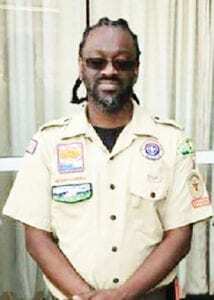 The scout learns to be a cheerful servant, does community service, learns to handle finances, to be thrifty, and learns cooking and time management skills along with team work and how to adapt in situations. The training of young men and women in these areas together in this new direction taken by the Boy Scouts of America may produce a new generation of men and women: one with a more equitable future for all, free of disparity in the areas of wages, color, and respect of person. Ja-shonna Bryant, as her family before her, will be leading the way.